The Cuban and Norwegian chapters of INTBAU and CEU, in partnership with the Academy of Urbanism (UK), conducted the fourth International Havana Urban Design Charrette from the 22nd to the 27th of March, 2010. 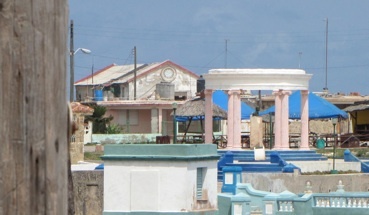 This charrette focused on the area of East Havana lying between the Morro Castle and the fishing village of Cojimar about six kilometers to the east. All four charettes have built on the principles and proposals of “The Masterplan for XXI Century Havana” authored by Cuban Architect Julio César Pérez Henandez and his team of Cuban architects. The charrette process consisted of on-site studies, including interviews with residents of Ciudad Camilo Cienfuegos; briefings by Cuban and International experts; design studies; and four sets of design recommendations. A transit workshop at the beginning of the charrette concluded with a proposal for a light rail line extending around Havana Harbour and crossing under the Harbour entrance between Habana del Este and La Habana Vieja. The transit proposal was used in the recomendations for each study area. Alturas de Casa Blanca is proposed as a set of low density residential neighborhoods with an arrangement of blocks and buildings which maintain a relationship with the surrounding points of interest - landmarks such as El Morro and La Cabaña, the national meterological station, and the officer’s housing district. - A new seafront generator; and A great/living community. The Habanamar proposal envisioned Cojímar, Habanamar, and Ciudad Camilo Cienfuegos being linked by a major boulevard which parallels the Via Monumental. The grid of blocks in Habanamar will align with the axis of the spine boulevard. 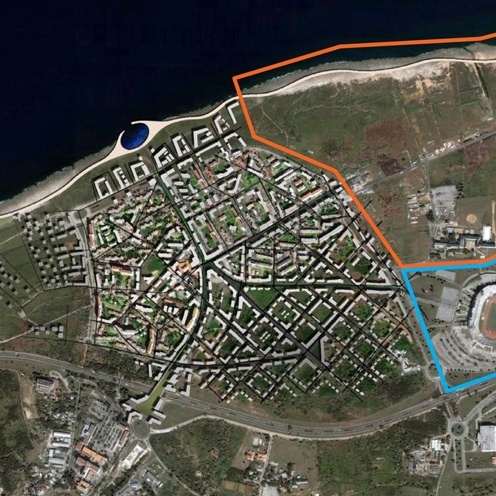 The proposal calls for a 20 meter green buffer zone along the coastline and a marketplace and plaza between the Estadio Panamericano and the spine boulevard. Cojímar was a beach destination in recent history before the Cojímar river became polluted. Proposed remediation and sanitation improvements would result in a cleaner river and harbour for Cojímar so it can build on its existing importance as a leisure destination and fishing village heritage assocated with Ernest Hemingway. The historic center should be restored using recognized preservation guidelines.